The C&SS Statistical Services directorate provides the NCI-Frederick and Frederick National Laboratory scientific communities with consultative statistical assistance, mathematical analyses, and scientific programming services. 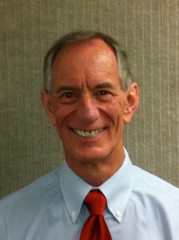 Dr. W. Greg Alvord is Director of Statistical Consulting Services at the NCI-Frederick Campus. He received B.S., M.A., and Ph.D. degrees from the University of Maryland and has done additional graduate work in basic and biological sciences. Dr. Alvord has authored or co-authored over 150 peer-reviewed publications in the application of statistical methodology to Cancer, AIDS and Medical Research. Dr. Alvord and his group of consulting statisticians, data scientists and programmers serve the scientific community at the NCI-Frederick, ATRF and Bethesda campuses. He and his staff collaborate, confer and consult with senior scientists and principal investigators in a wide array of statistical modeling, data analytic and hypothesis testing techniques including longitudinal and hierarchical mixed effects regression modeling, general and generalized linear modeling, bioinformatics, proteomics, survival and time-to-event analyses, logit, logistic regression and categorical data analyses, supervised and unsupervised learning algorithms, data-mining, state of the art graphics, power analysis and sample size determination, and many other univariate and multivariate statistical and mathematical methodologies. In addition to analysis and interpretation of data, Dr. Alvord’s services include active consultation and collaboration with investigators in the design of experiments, preparation and publication of scientific manuscripts, and instruction in the generation of dynamic documents and reproducible research.